High flying pirates – a tumble of fun! 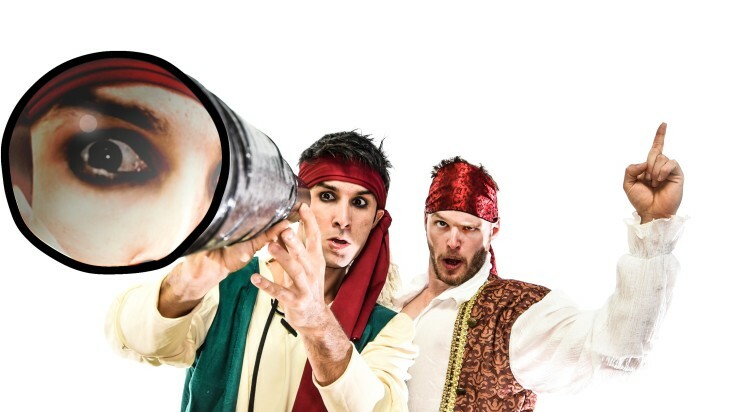 Fresh from the high seas of the Adelaide and Perth Fringe festivals, the boys from Headfirst Acrobats swing into the Melbourne International Comedy Festival with a circus caper for all the family at The Famous Spiegeltent. Nominated for Best Children’s Show at the Perth Fringe, Brighton Fringe and Adelaide Fringe, Arr We There Yet!? is a soaring and swashbuckling adventure in which three sailors hit the high seas in search of treasure. A scallywag pirate, a muscular sailor and a chef with a seafood allergy make for a hopeless crew, as they fight for the title of Captain aboard the ship. More than just jokes, thrills and spills, Head First Acrobats have crafted an engaging and entertaining show. Children and adults alike are encouraged to unleash their inner pirate and revel in the arrrrrrr of amazing acrobatics and hilarious slapstick comedy to see these pirates turn ship-life upside down. Expect flying knives, sea sick spinning and a plank to walk that springs pirates higher and higher. Following sell-out runs in Australia, Europe and the UK, the lads are delighted to return home as high-flying pirates.